It’s pumpkin season and you know what that means? Lots of people are scouring Pinterest and their favorite cookbooks for the ultimate pumpkin cookies recipe. Well, I’ve done the legwork for you this year and rounded up what I am confident are the best pumpkin cookies recipes EVER! Dive right in and be sure to share this list with your friends on Facebook and Pinterest, because you KNOW you’re not the only one looking for the best pumpkin cookies recipe! 1. Buttery Pumpkin Cookies from Dear Crissy. Thick, pillowy and delicious are three words to sum up these incredible pumpkin cookies. The maple frosting sends them over the edge. I’ll definitely be making these again. 2. Melt In Your Mouth Pumpkin Cookies from yours truly. I made these pumpkin cookies two years ago and they are the number one recipe on my blog. Every year I get a flood of comments from readers thanking me for posting this fabulous pumpkin cookies recipe. Many readers have told me that these are the best pumpkin cookies ever. 3. Pumpkin Oatmeal Chocolate-Chip Cookies from Chelsea’s Messy Apron. 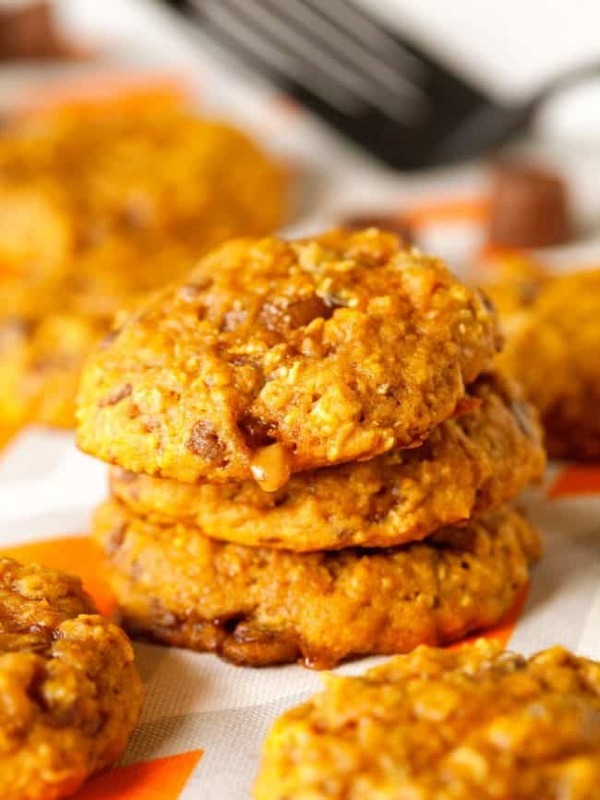 I’ve been eyeing this pumpkin oatmeal chocolate-chip cookies recipe for a while. Aren’t they gorgeous? 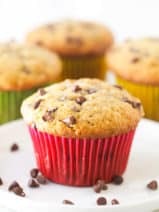 I love each and every ingredient in this recipe. 4. Pumpkin Sugar Cookies from Mandy’s Recipe Box. 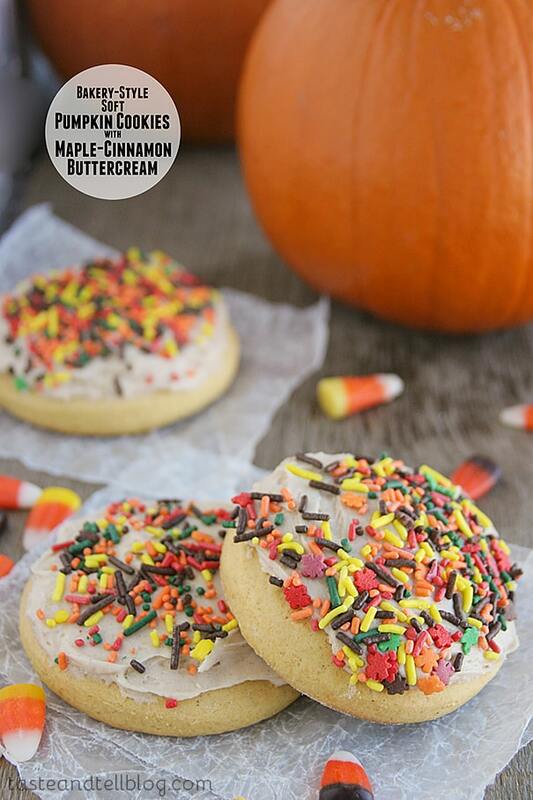 Sugar cookies + pumpkin. Sounds simple enough. Simple and DELICIOUS. 5. 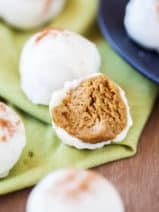 Pumpkin Cheesecake Cookies from Center Cut Cook. I’m a complete sucker for cheesecake and there’s only one thing that I can think of that might top my love for it—pumpkin. Put pumpkin and cheesecake together and it’s a match made in cookie heaven. 6. 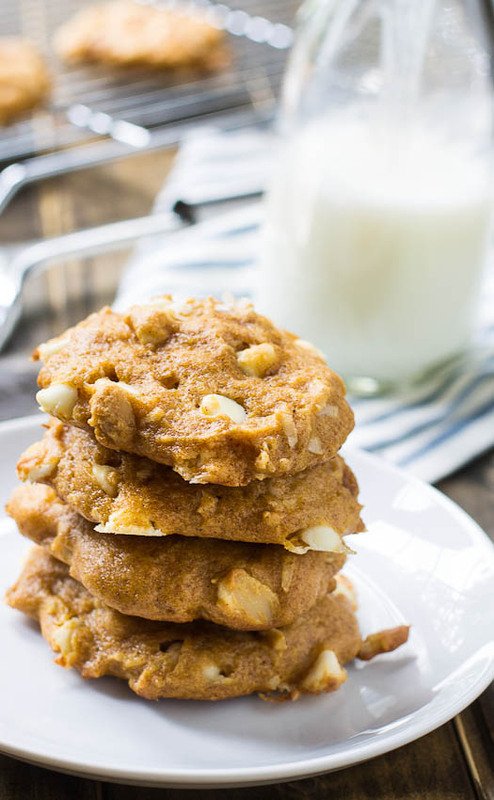 Maple Pumpkin Cookies from Everyday Dishes. I’ve said it before and I’ll say it again. Maple and pumpkin go together like… maple and pumpkin. It’s just good. Trust me. 7. 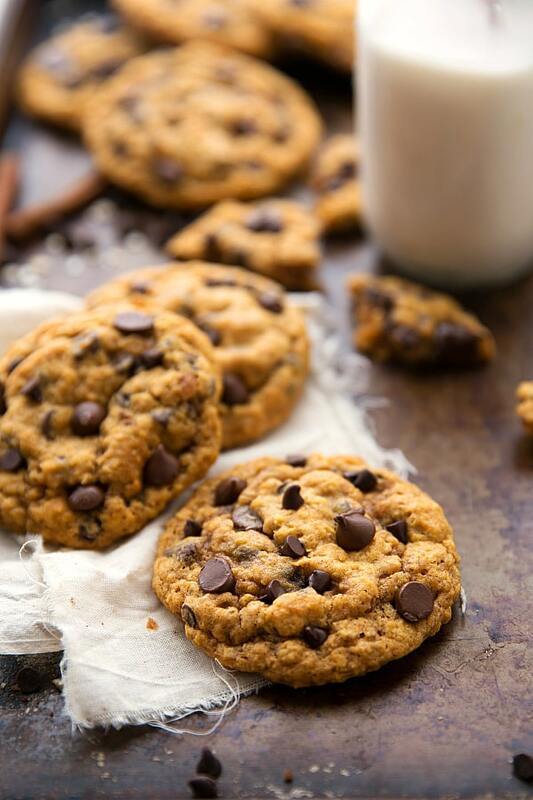 Pumpkin-White Chocolate Chip Cookies from Spicy Southern Kitchen. My little boy is a huge fan of white chocolate so I’m planning to whip up these yummy-looking cookies this holiday season. Best pumpkin cookies ever? Quite possibly. 8. Caramel Stuffed Oatmeal Pumpkin Cookies from Deliciously Yum. Caramel STUFFED oatmeal cookies? No. Way. 9. 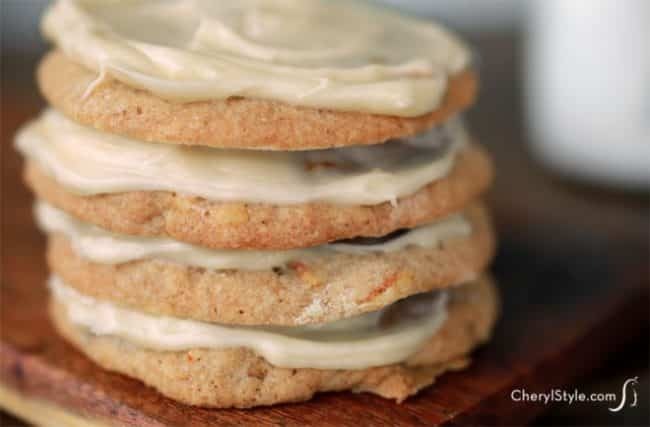 Pumpkin Spice White Chocolate Cookies from Oh Sweet Basil. I dream about pumpkin spice leading up to fall every year. I would probably bake every pumpkin spice recipe that I see on Pinterest if I had the time. This one is definitely on my list. 10. 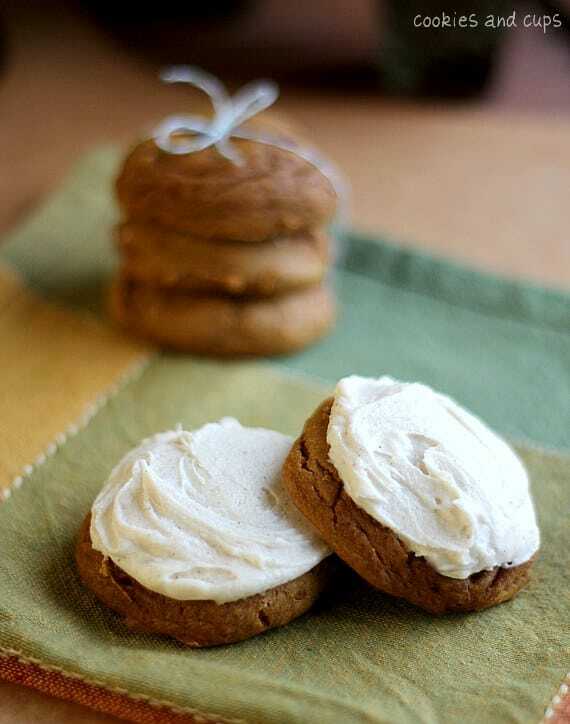 Bakery-Style Soft Pumpkin Cookies with Maple Cinnamon Buttercream from Taste and Tell. Yep, these little cuties look just like the cookies that my kids love picking up at our local bakery. Love these. 11. Pumpkin Cookies with Caramel Frosting from Tastes Better From Scratch. 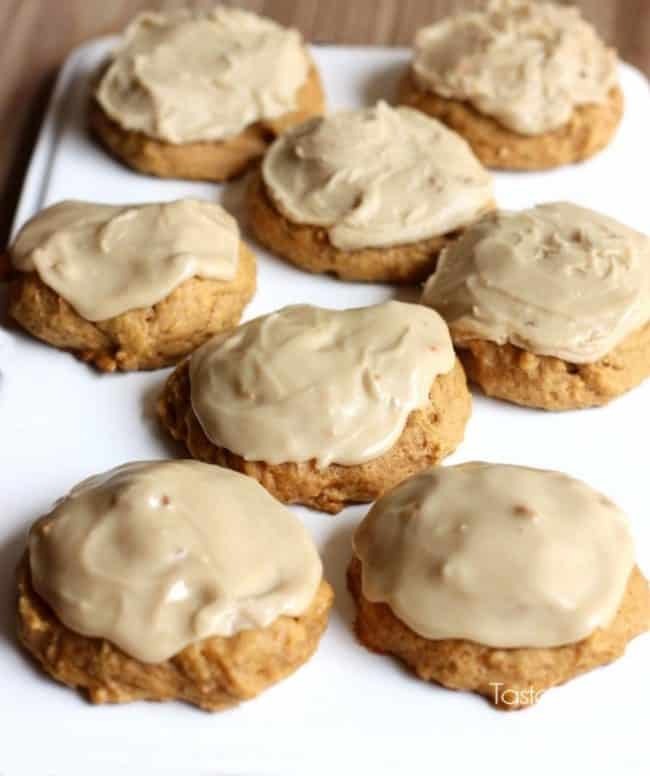 The caramel frosting on these pumpkin cookies looks so good I think I might have to lick my computer screen. 12. 2 Ingredient Pumpkin Cookies from Cookies and Cups. 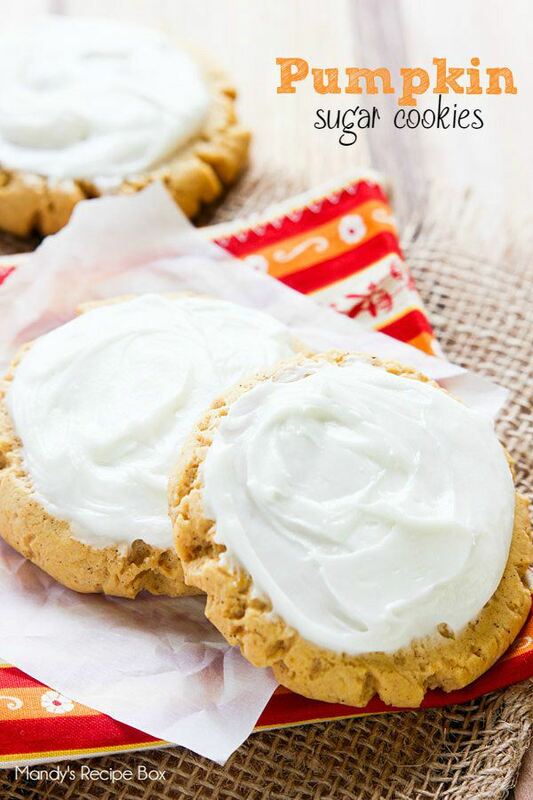 I love these pumpkin cookies because they are so simple–just 2 ingredients! This is definitely one of the best pumpkin cookie recipes out there. 13. 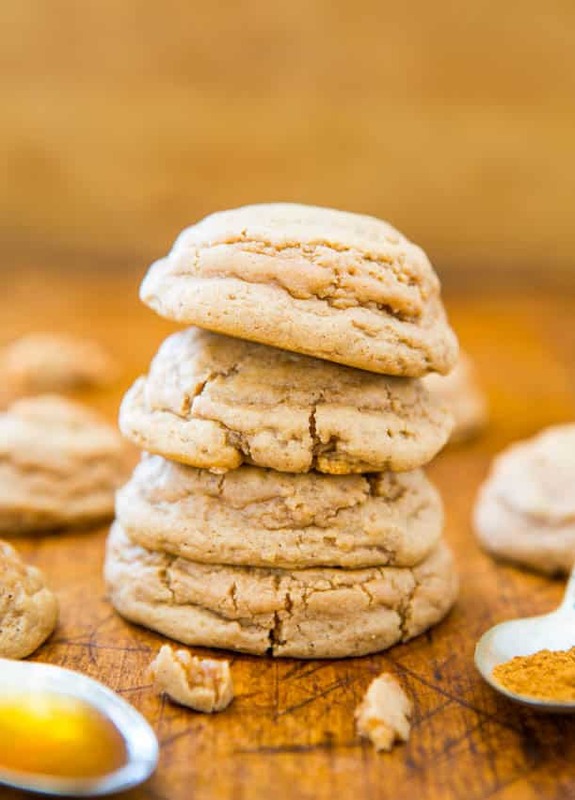 Soft and Puffy Pumpkin Spice Honey Cookies from Averie Cooks. I always know I can count on Averie to post cookie recipes that will make me literally drool. 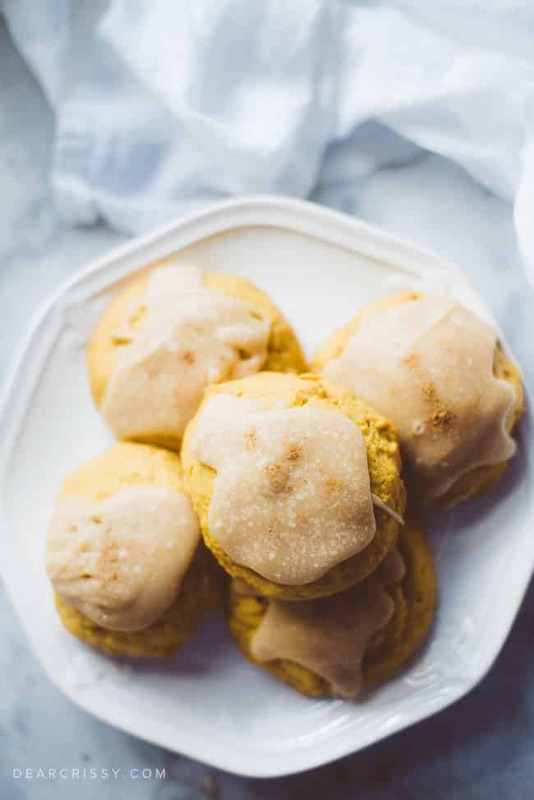 She’s an amazing baker and photographer and these soft and puffy pumpkin spice honey cookies look dreamy. 14. 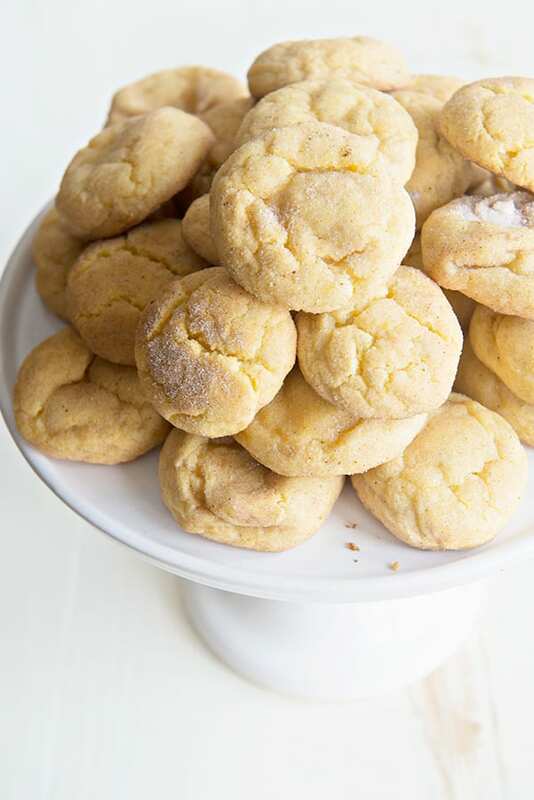 White Chocolate Pumpkin Snickerdoodles from Sally’s Baking Addiction. I LOVE snickerdoodles. 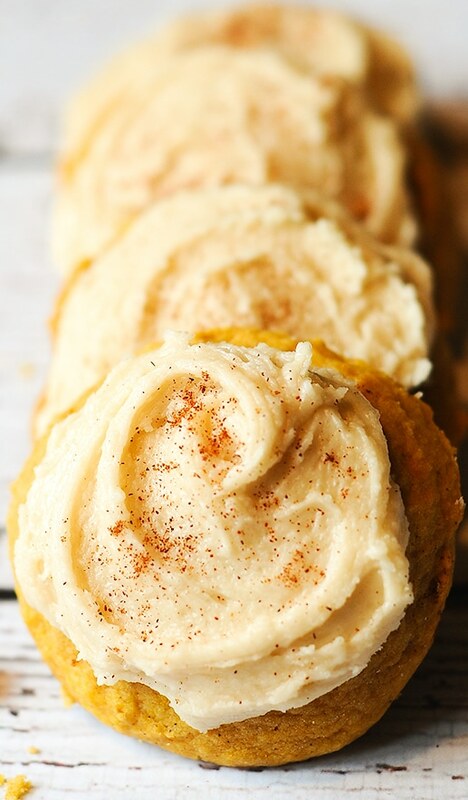 What’s better than a snickerdoodle with white chocolate and pumpkin? I can’t think of one thing. These cookies definitely belong on my list of the best pumpkin cookies ever. 15. 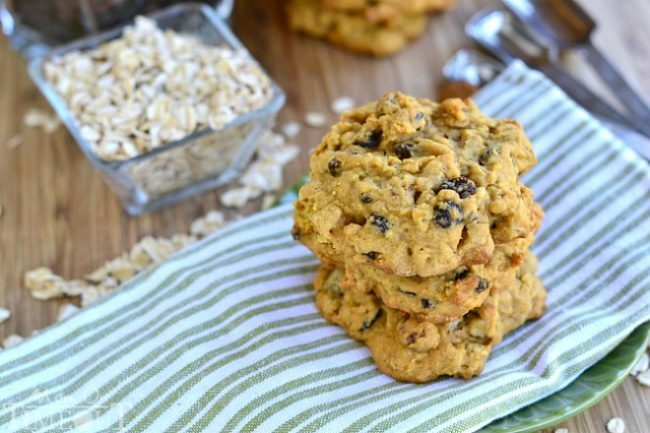 Pumpkin Pie Oatmeal Walnut Raisin Cookies from Mom on Timeout. Now these look unique. 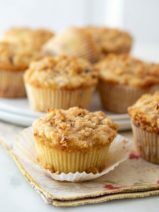 My kids love walnuts and raisins, so I’m sure this recipe would be a hit in our home. 16. 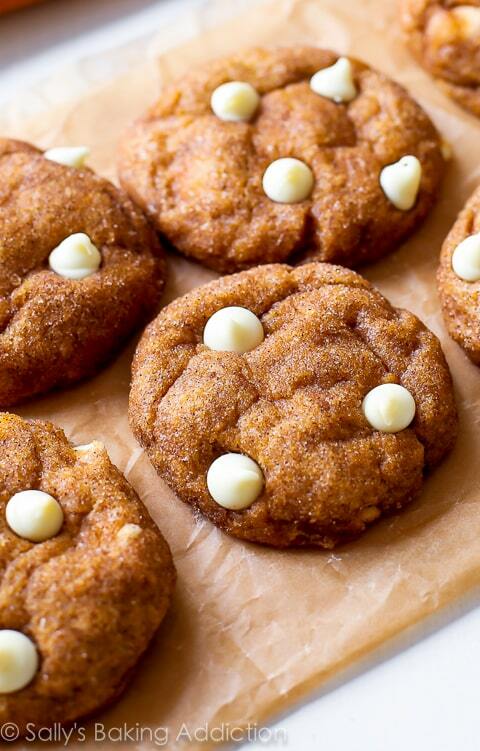 Pumpkin Cinnamon Cookies from Two Peas and Their Pod. 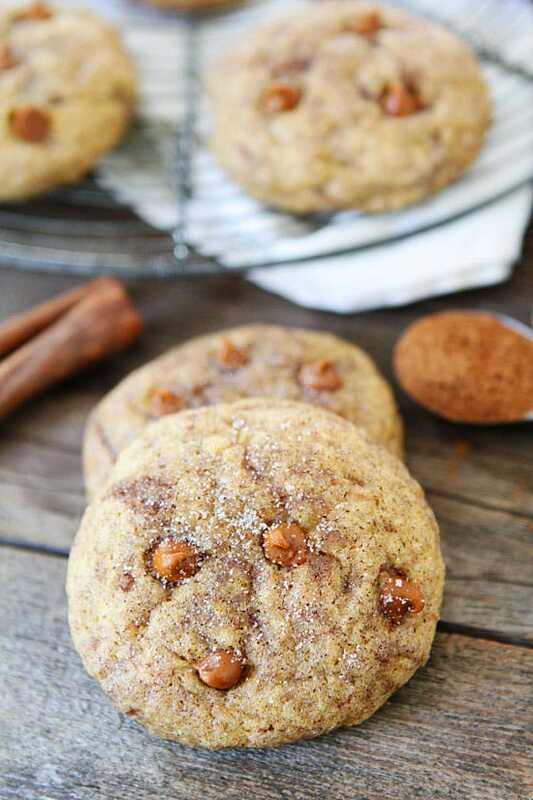 I love the flavor combination of pumpkin and cinnamon during the fall months and these pumpkin cookies look amazing. 17. 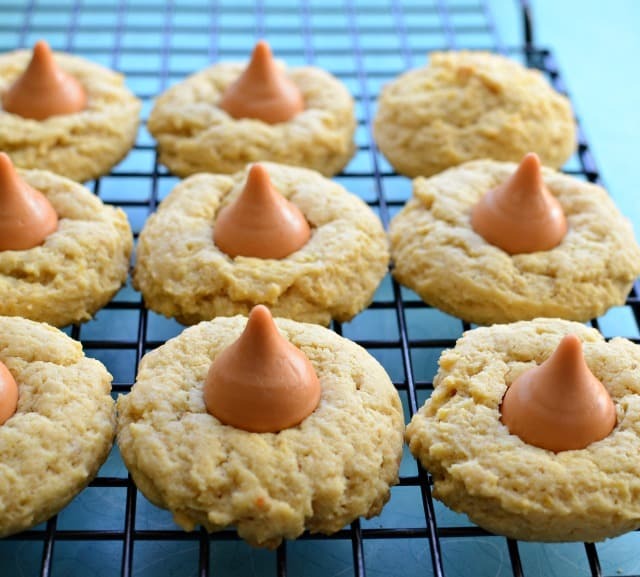 Soft Pumpkin Cookies + Pumpkin Spice Kisses from Bless This Mess. 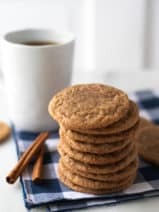 Out of every pumpkin cookie on this list, these soft pumpkin cookies with pumpkin spice kisses are the ones my husband wants me to make the most. I can’t blame him, these look so good. 18. Pumpkin Snickerdoodles from Dine and Dish. 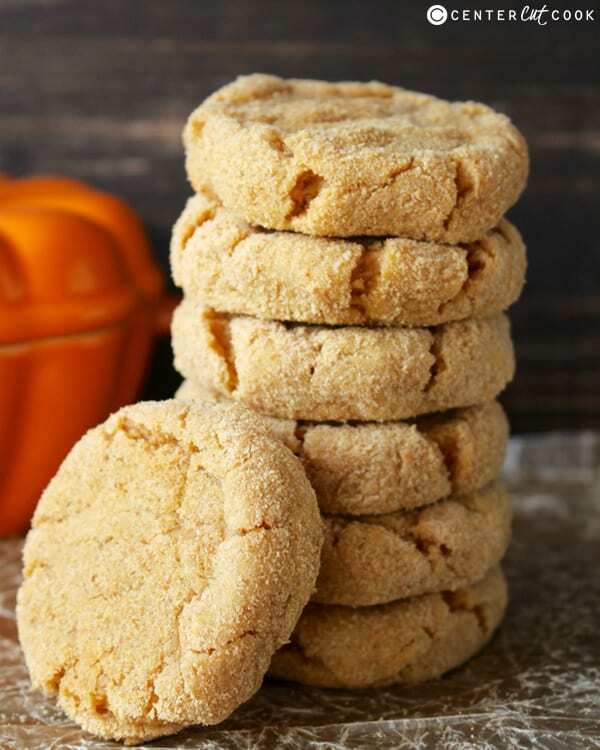 Here’s another pumpkin snickerdoodles recipe that I am drying to try! 19. 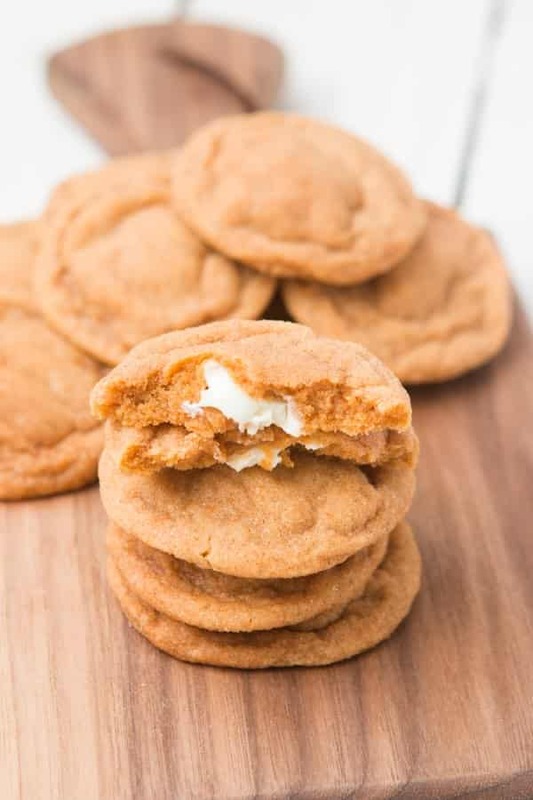 Pumpkin S’more Cookies from Recipe Diaries. 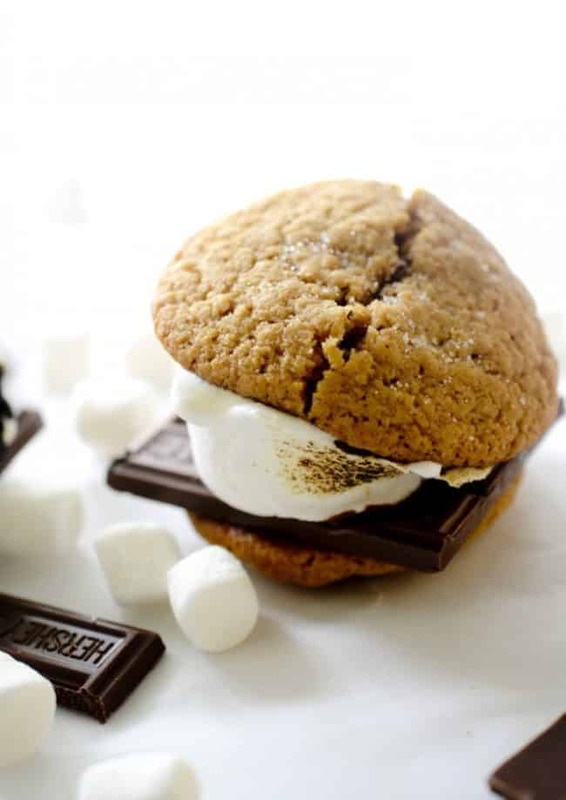 Pumpkin s’mores cookies? What? I’m sold. 20. 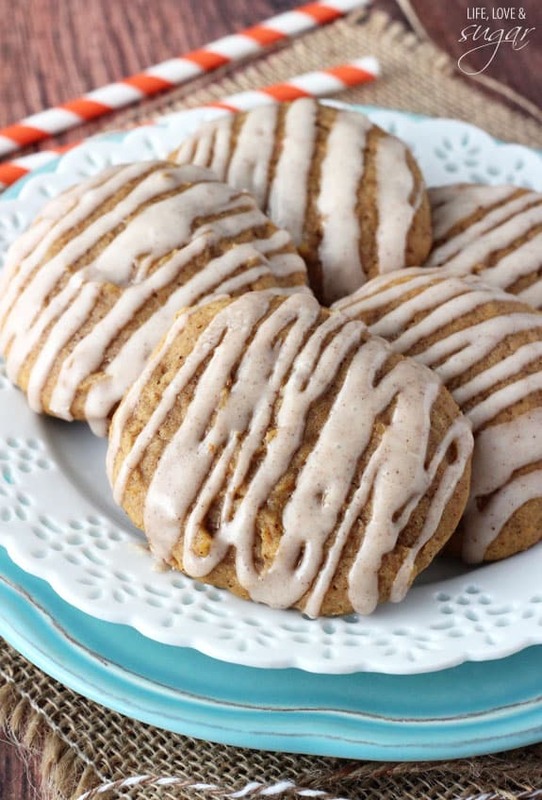 Pumpkin Cookies with Cinnamon Glaze from Life Love and Sugar. The cinnamon glaze on these pumpkin cookies make them look so pretty, not to mention completely delicious. Do you have a go-to pumpkin cookies recipe? In my opinion, each of these gorgeous cookies from some of my favorite food bloggers could content for the best pumpkin cookies ever.